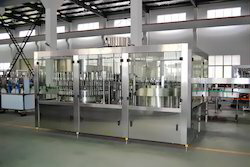 Our range of products include automatic bottle rinsing, filling & capping machine, fruit juice pouch filling machine, jelly cup filling machine, juice filling machine, can filling machine and drinking water pouch filling machine. Bottle spec. : 200ml – 2 Ltr. 1. 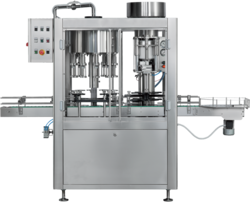 This machine is used for packing various kinds of pouches: fruit shape bag, bottle shape bag, spout bag, straw bag etc, This machine can pack any liquid such as juice, yogurt, water, jelly, etc. also used for semi- liquids as well. 1. 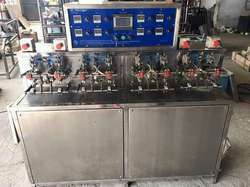 Easy to operate, adopt advanced PLC from Germany Siemens/Delta, made with touch screen and electric control system, the man-machine interface is friendly. 2. 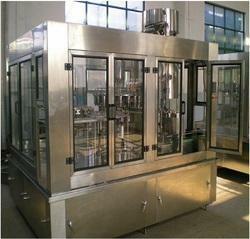 Automatic filling and control liquid level. 3. 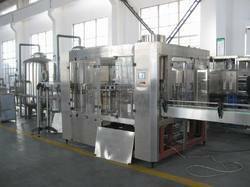 All contact parts with product to be filled / packed are made SS 304. 4. 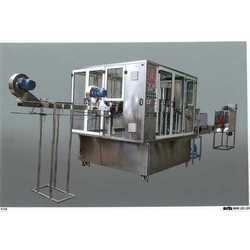 The machine adopts high capacity, easy to maintain, long service life. 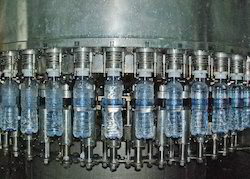 The Machine Works On Volumetric Principal And Is Used To Fill Varieties Of Liquid Into Various Types Of Containers With Precise Accuracy On A Continuous. The Unit Shall Have Provision To Fit Stainless Steel Syringes. 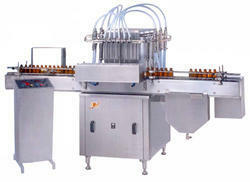 A Specially Designed Synchronized Bottle Indexing Mechanism Ensures Smooth Running Of The Machine. Accuracy Of Fill : + 1 %. 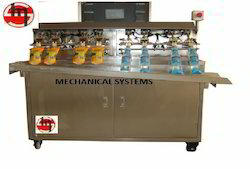 This machine is used for packing various kinds of pouches: fruit shape bag, bottle shape bag, spout bag, straw bag etc, This machine can pack any liquid such as juice, yogurt, water, jelly, etc. also used for semi- liquids as well.